The blue lagoon has a self-service aspect to the launderette too so customers can pop in to wash and dry their clothes themselves. The place is big, clean, has plenty of machines and there is also a tv so customers have something to do to pass the time. The machines are very efficient and cost effective. 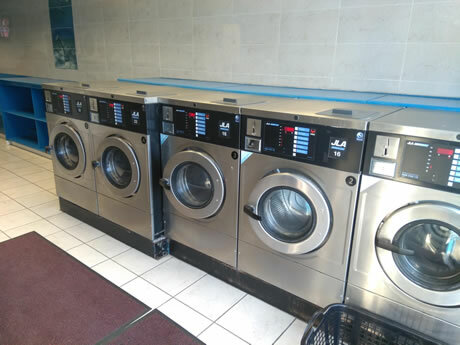 Washer prices start from £3.20 and dryers give you 15 minutes of drying for £1 which are very competitive.